China has started taking fingerprints of all foreign visitors, aged between 14 to 70, at the Shenzhen International Airport from today to improve border checks. Note : Foreigners with diplomatic passports will not have to provide their fingerprints and Chinese citizens from Hong Kong, Macau and Taiwan will not be considered foreigners. Today (10th February) is National Deworming Day. This day is being observed to combat parasitic worm infections among preschool and school-age children across India. 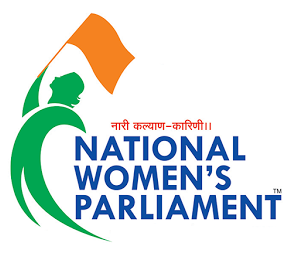 The 3-day National Women’s Parliament, which is being organised by Andhra Pradesh Legislative Assembly was began today in the state capital region Amaravati. An ‘International Woman Icon of the World’ award and 12 best young achievers awards for women in different fields will be presented at the event. Buddhist spiritual leader Dalai Lama, Union Ministers M Venkaiah Naidu and P Ashok Gajapati Raju, AP Chief Minister N Chandrababu Naidu, Puducherry Lieutenant Governor Kiran Bedi, Bangladesh Parliament Speaker Shirin Chaudhury, Gandhian Ela Bhatt, actress Manisha Koirala are among the chief guests. Objective - to generate new ideas, concepts, theories and ideologies for women empowerment. Vision - to enable and encourage social, political and economic empowerment of women in all strata of the society. The Centre is going to rename existing and future airports after cities instead of personalities, Union Minister Jayant Sinha announced today. Note : There are around 75 operational airports in India and many are named after personalities, including political leaders. The government today made Aadhaar card mandatory for availing subsidised foodgrains from ration shops to better target ₹1.4 lakh crore subsidy under the food security law. The government has given time to those not having the biometric-based unique identification number to apply for Aadhaar by June 30. Note : The Centre had earlier made Aadhaar mandatory for cooking gas subsidy. The Union Ministry of Commerce and Industry has launched pilot Revenue Insurance Scheme for Plantation Crops (RISPC) for protecting the growers from the risks such as pest attacks, yield loss and income decline caused by fall in prices. The central government has decided to "scale up" its programme of utilising the Head Post Offices (HPOs) as Post Office Passport Seva Kendra (POPSK) by opening 56 more such centres in various cities across the country. Important Note : The pilot projects for this joint venture between the two were inaugurated on January 25 at Mysuru in Karnataka and at Dahod in Gujarat. The 1st Amaravati Global Music and Dance Festival began today at Amaravati (Andhra Pradesh). The first-ever riverfront festival in India, it will feature performances by artists like Kavita Krishnamurthy and L Subramaniam. Actor Hema Malini will also perform at the festival, which expects thousands of visitors and is set to become an annual event. This Braille Atlas has been prepared by National Atlas and Thematic Mapping Organisation (NATMO) under Department of S&T. The Reserve Bank of India (RBI) has decided to set up an inter-disciplinary Standing Committee on cyber security to examine various threats and suggest measures to deal with it. The committee will suggest appropriate policy interventions to strengthen cyber security and resilience in a bid to strengthen cyber security system. The Union Human Resource Development (HRD) Ministry has constituted a sub-committee of Central Advisory Board of Education (CABE) to look into issues of girl’s education. It will submit its report to the Union government within one year. India has become the first team in history to score 600-plus in three consecutive Test innings, going past the mark during the Hyderabad Test against Bangladesh today. India scored 631 against England in Mumbai in December, following it up with their highest Test innings total of 759/7d at Chennai. Note : No team has scored 600-plus runs in three successive Tests. Virat Kohli has become the only player to score four double centuries in four consecutive Test series, hitting his career's fourth 200 against Bangladesh today. With the double ton, Kohli also equalled Don Bradman and Rahul Dravid's record of three 200s in one season.